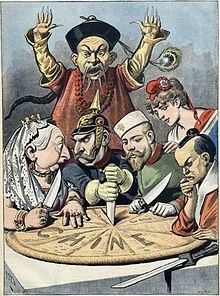 Most people in the West have never heard of the Unequal Treaty scandal of Asia. Not merely did this result in the resignation of the Prime Minister in Japan during 1889 for being too easy with the West, but it was the justification for the rise of Communism in China in 1949 – the historical previous 100 years of being treated without respect. Unfair practices may go on for a long time. However, the sheer economics of the situation come into play and force change in ways that are typically unsettling. In the case of China, it was the greed of governments carving up China that inspired and justified the rise of Communism. Today, we have to be careful that the greed of the NY Bankers in rigging the game does not bring down the whole house of cards upon us all. This refusal to police their actions making them the UNTOUCHABLES is placing our entire way of life at risk. Government is already getting very nasty. It would not be that too far of a stretch for them to justify seizing everything because of the greed of the bankers. This is the risk that is identified by our computer. It is why I speak out because if there are enough people who understand that when the tree falls, which way it will fall depends on the angle of the cut. We must identify the problem and restrict its source. Otherwise, government will turn on the bankers and pretend ALL wealth is evil. This is just historically the danger we face. Either we move toward REFORM with a clear understanding, or we can be instruments of our own destruction. Far too often, we are the latter not the former.